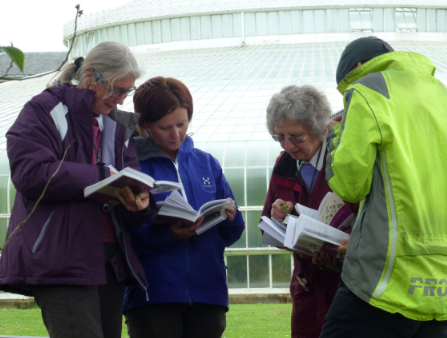 If you will be in Scotland this summer and want to get started in botany, build up your field ID skills or brush up following a long gap, then you'll want to hear about the very popular Plant Families Workshops which are now successfully into their fourth year. 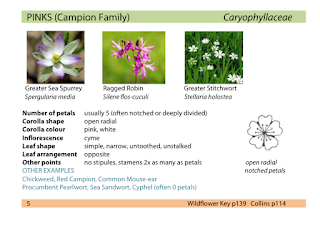 Over those years, a guide to common plant families has been tested and refined and I hear that the students have all voted it very helpful for identification. 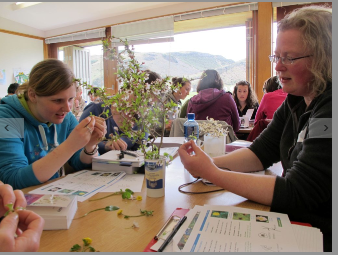 The weekend workshops are run by Dr Faith Anstey and her team of BSBI tutors, and will be held this year at four locations across Scotland. 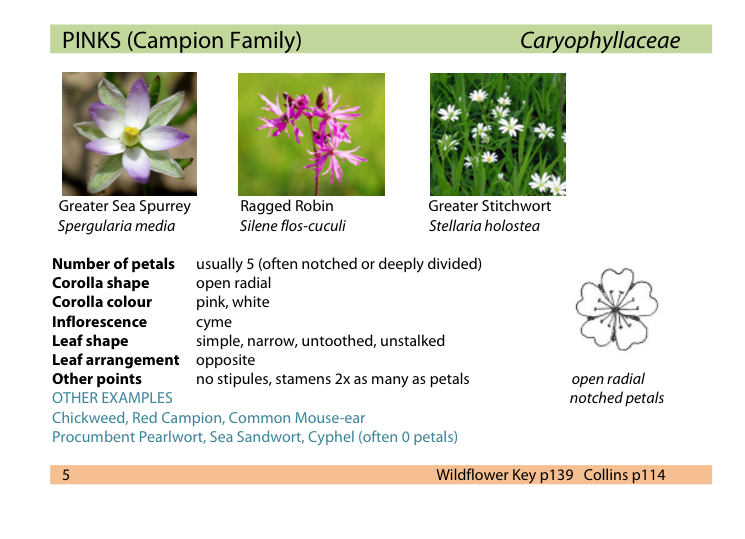 The aims of these weekend workshops are to teach you how to identify wild flowers through recognising their families and to help you build up your confidence in using identification keys. 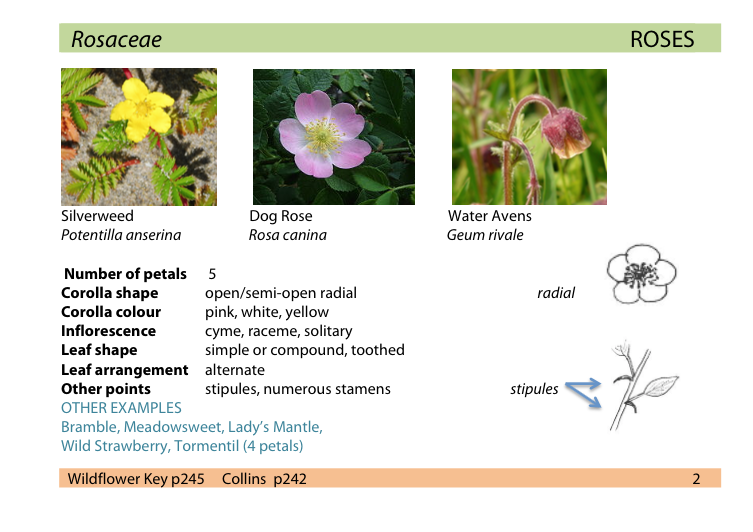 On Saturday morning, you start by learning about the plant kingdom and some of the botanical terms used to describe plants - don't panic, there are helpful hand-outs that you can keep referring back to. 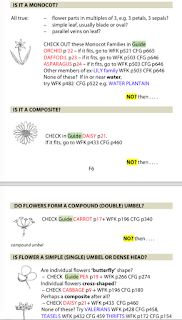 Then Faith introduces you to plant families, with her specially designed booklet containing a flowchart to, and descriptions of, 24 common families to enable you to ‘find the family first’. This makes it much quicker and simpler to identify the species at hand. At this point, you split into groups and the tutors guide you through using the flowchart to work out the family. After lunch, Faith introduces you to using ID keys - always a hurdle to get over when starting out but again you have a chance to work in small groups with Faith and the other tutors, both in the classroom and in the field. Fieldguides and handlenses - the essential tools of the botanist's trade - are essential equipment here, but you don't need to worry about buying these items in advance if you don't already have them: Faith and her team will have spares for you to try out, as well as lots of handy hints on how to use them. 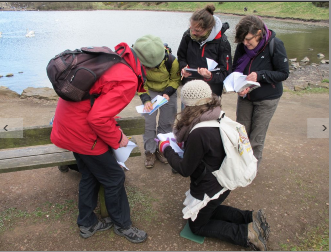 On the Sunday morning, there is a follow-up field excursion where you spend three hours practising your new-found field ID skills and again there is lots of support on offer whenever you get stuck. 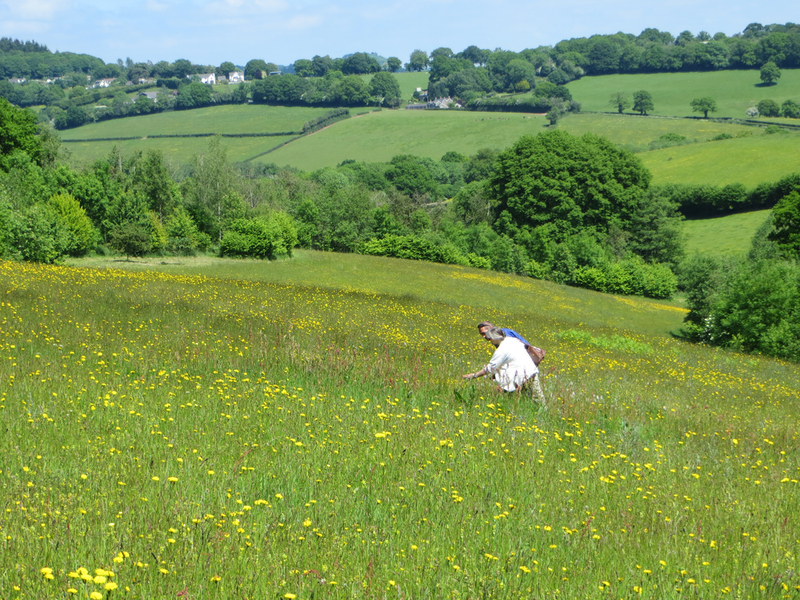 "This one-day course is aimed at people keen to learn, improve or refresh skills in field botany, using an approach to ID via plant families. Participants tend to be students in various disciplines, workers in plant-related jobs, and those with a general interest (and sometimes quite a lot of practical experience) in botany. 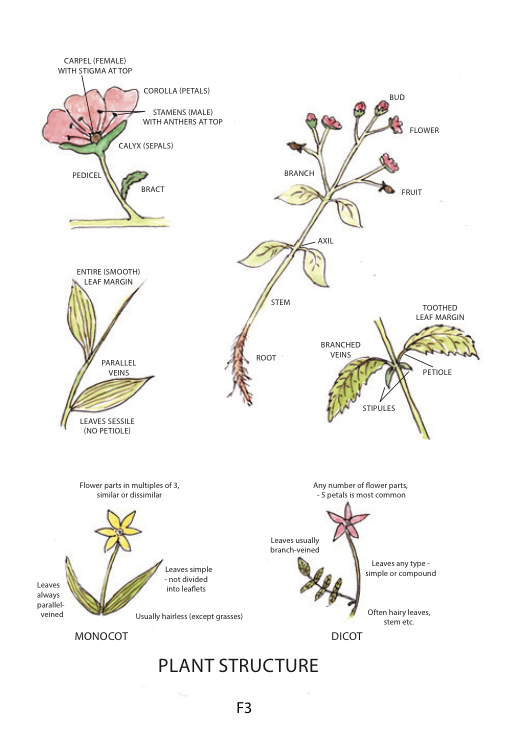 "The basics of plant structure and nomenclature are reviewed. 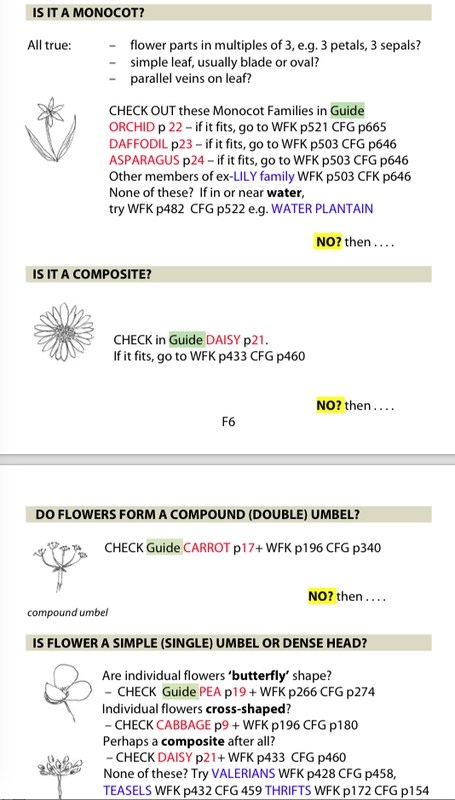 Then a flowchart is introduced which covers 50 families and has a high record of success in leading students to the correct family for a given specimen. "This is supported with descriptions of the typical characteristics of 24 families. 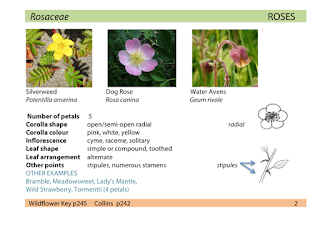 "Dichotomous keys are also covered, from a very simplified example through to those in Francis Rose's Wildflower Key. Small-group, hands-on work with a tutor, in the classroom and later outdoors, is an essential part of the course. "The course has proved so popular that the Pocket Guide to Wildflower Families, an A6 spiral-bound weatherproof booklet containing most of the material, is now on general sale, at http://www.wildflowerstudy.co.uk". Many thanks to Faith for telling us more about the Plant Families Workshops. They book up quickly, so if you are interested, please use the links above to reserve your space, or go to the BSBI Scotland pages here. All images courtesy of Faith Anstey.